This 16.1 acre former wildlife management area was the smallest WMA in Texas. It is now a Texas State Park. TPWD assumed ownership and management of Old Tunnel in 1991. 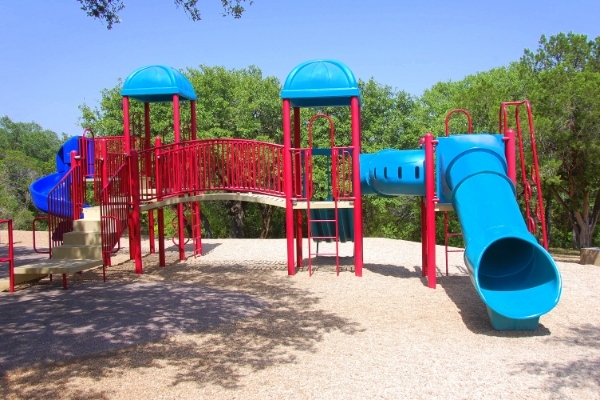 The park is now managed by the City of Fredericksburg. The 920 foot railroad tunnel (1913), one of 6 railroad tunnels constructed in Texas, travels through what is known as the "Big Hill," and is located about midway on the 23 mile line of the old Fredericksburg and Northern Railroad which connected the old Fredericksburg Junction near Comfort, to Fredericksburg, Texas. From May to October, the tunnel is home to approximately 3 million Mexican Free-tailed Bats. Just before sunset each day, the bats darken the sky as they fly out of the tunnel in search of their evening meal. The time of their emergence varies depending on the number of bats, how much food is available, and how far they need to travel to reach prey. By August and September, the bat colony has increased in size, and prey is getting scarcer so the bats must travel farther for food. As a rule, bats emerge between 8 and 9pm from May through July, and between 6 and 8pm during August and September. August and September are considered the best bat viewing months. The site is open for evening bat viewing from May-October. There are three options for viewing the bats’ emergence. The hilltop deck is located adjacent to the parking area and is open nightly for use by the public. An ADA compliant bat viewing area is available. No fee is charged. In addition to providing a view of the bats, this area offers stunning views of the Texas Hill Country. You will also view Red-tailed Hawks feeding on the emerging bats. The 0.5 mile nature trail winding down to the lower wooden foot bridge is closed each evening from May through September for paid group tours which are offered Thursday through Sunday. You may also schedule a private group tour. Seating capacity is limited to 70 people, so it is suggested visitors arrive early. An educational program begins 30 to 60 minutes prior to the expected emergence time. Watching the bats from the bridge offers a closer view of the tunnel. From the bridge, the flapping of millions of tiny wings is usually audible, as are the soft clicking sounds of the bats communicating with each other. Call to check the emergence time before arriving. A small park is located at the southern end of the tunnel. A Texas Historical Marker is in place. The park offers Bat Trunk resources for schools. A small fee applies. Special group tours of up to 70 people may be schedule Mon-Wed, from May through September. For more information, read the Old Tunnel State Park Brochure. From Fredericksburg go 3 miles east on U.S. 390. Go right (south at the TXDOT sign on Old San Antonio Road. Drive 10.5 miles to the WMA located on the left at the Topo of the hill; go left on Alamo Road. The steep, primitive nature trail offers hiking, birding and other wildlife viewing opportunities. Several educational exhibits with information on bats and railroad history are located along this 30 minute hike. During the summer, the emerging bats can usually be seen from the trail; potable water is not available. The park offers guided tours of this trail. The trail is open year round, but from May through October, Monday through Wednesday evenings, the trail is closed to the public each evening; only those participating in a tour will be allowed on the trail. From the blinking light on FM 473 in Comfort, travel approximately 5 miles north on FM 473. When FM 473 makes a right turn to Sisterdale, do not take the right turn. Instead, go straight on Old #9 Highway for 8 miles. The WMA will be on the right at the top of the hill. From Fredericksburg go 3 miles east on U.S. 390. Go right (south at the TXDOT sign on Old San Antonio Road. Drive 10.5 miles to the WMA located on the left at the Topo of the hill; go left on Alamo Road.